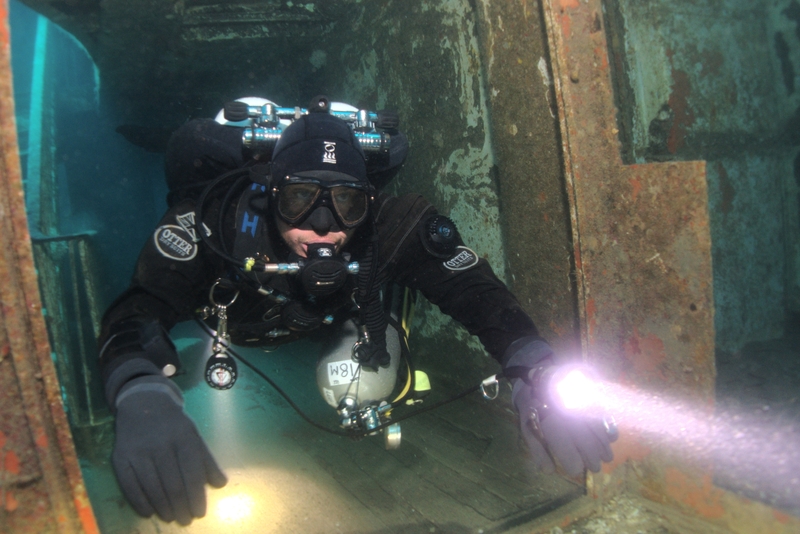 Lee emerging from a room within the MV Karwela. Photos within shipwrecks are my most challenging—I have a long way to go! In this photo, Lee demonstrates his “photographer’s intuition” in not breathing during the shoot period of the shoot-check-reframe cycle. This work is licensed under a Creative Commons Attribution-ShareAlike 4.0 International License. Please attribute Kristaps, the photographer, with a link to kristaps.bsd.lv/photo0033.html.